During a radio interview on Tuesday, Kentucky Republican Gov. Matt Bevin admitted to intentionally exposing his 9 children to chickenpox in the hope that they would catch the highly contagious infection and become immune. Why now: As questions surrounding vaccines abound, Bevin's public remarks trailed reports of a chickenpox outbreak at a Kentucky Catholic school this week, wherein some parents, according to the Washington Post, had not vaccinated their kids. 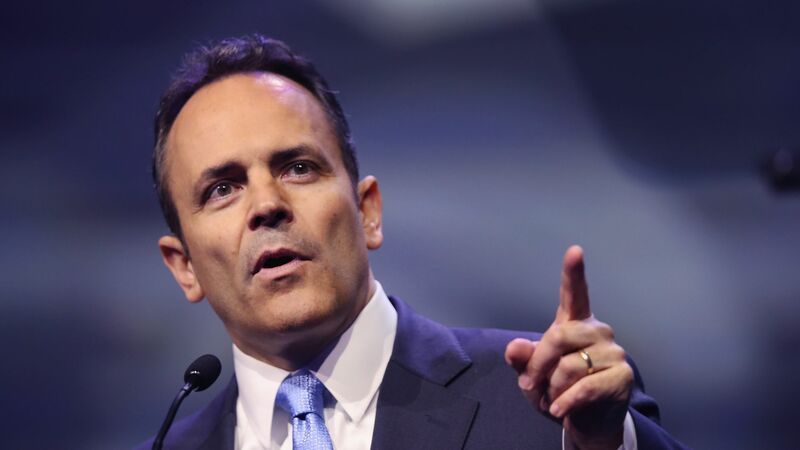 The governor — who is seeking a second term in this year’s statewide election — said Kentucky parents can vaccinate their children, but that the government shouldn't mandate. The state requires kindergarteners be vaccinated for chickenpox, but parents can cite religious exemptions or share evidence that their child already had the disease. Reality check: The Centers for Disease Control and Prevention does not advocate the tactic Bevin employed for his own family.